I’ve never read any of Roth’s work – frankly I’m intimidated by it. Maybe I should give it a go. 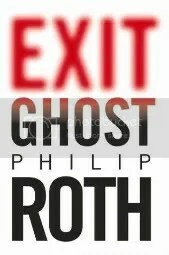 Roth is one of my very favorite writers; I haven’t read this one yet, but I will soon. I hope you read more of his books. For a hilarious one, in a very different tone from his more recent, read Sabbath’s Theater. Beneath the humor, which had me falling off chairs in public, the same sort of depression you describe here is evident. But Roth is wonderful whether he’s being funny or depressing or profound. Actually, he’s always profound. Thanks for reminding me.